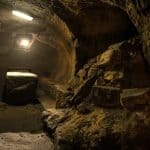 Underneath the streets of Gilmerton – an ex-mining village not far from the city centre – lies one of the strangest unsolved mysteries in all of Edinburgh. 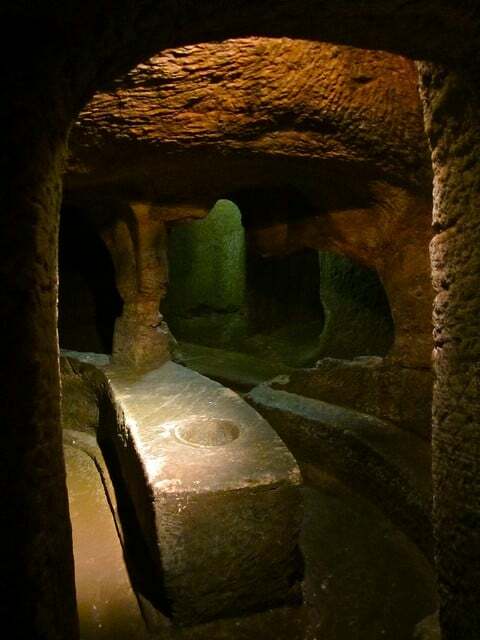 It’s here where you’ll find an underground series of passageways and chambers that were burrowed deep into the sandstone by hand, although for what purpose remains unknown to this day. 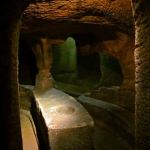 Gilmerton Cove is one of those tourist attractions that can be easily classed as one of Edinburgh’s hidden gems, as although it’s well known amongst locals you can ask any tourist and they’ll likely say they’ve never heard of it. But a short bus ride to Gilmerton is certainly worth the time if you want to experience another side to the city that was hidden for many years, and a visit to this unique attraction is a fascinating way to see the city away from its more popular centre. The caves as we see them today are the result of extensive restoration thanks in part to both the City of Edinburgh Council and the Gilmerton Heritage Trust, who in addition to excavating the tunnels restored a traditional mining cottage above as the visitor centre. 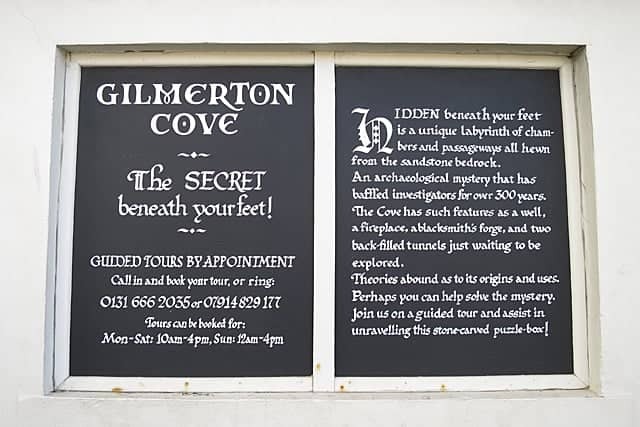 The cottage houses several audio-visual displays that depict the many theories behind the origins of Gilmerton Cove and also educates visitors about the history of Gilmerton. You’ll even learn about the ghosts that haunt the passageways and the network of undiscovered tunnels that are believed to stretch far beyond some of the collapsed walls. While you can’t explore the underground tunnels on your own you can at least join one of the daily tours that take you deep into the mysterious cove with a knowledgeable guide who really brings the story of this strange place to life. It’s genuinely interesting and a little bit creepy too, so if you fancy seeing something that’s different to the usual tourist traps I highly recommend you visit Gilmerton and take a trip underground. 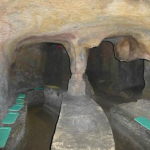 Several theories exist as to why the caves were dug, ranging from being used as a secret hiding place for outlawed Covenanters (a religious group who were persecuted in the 17th-century) to a secret network of storage chambers for illegal whisky. One thing we know for certain is that the caves were inhabited by George Paterson, a blacksmith in the 18th-century who was recorded as being charged on several occasions for allowing alcohol to be drunk there on the Sabbath. But whether he dug the caves out on his own or simply moved into them after they had been previously abandoned is unknown. 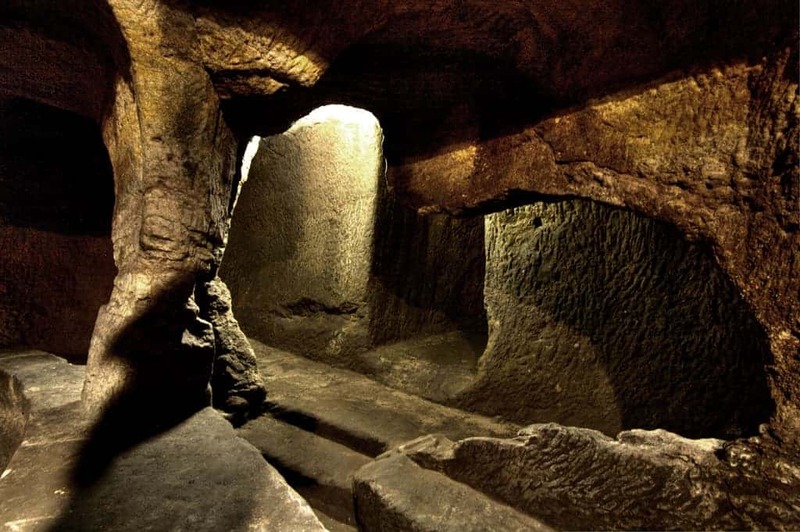 Many of the underground chambers contain stone benches, tables, and even a Christian chapel, and yet stories abound of druids and witchcraft practices that were suspected of taking place there hundreds of years ago. 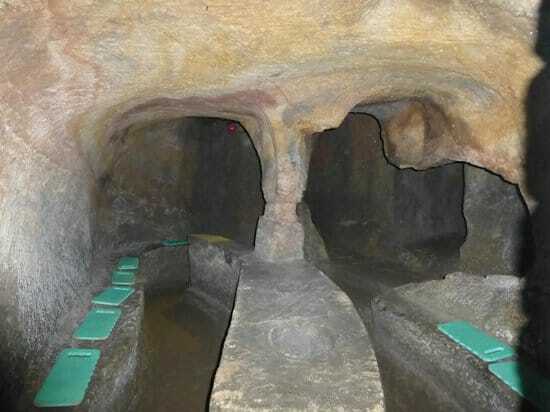 Interestingly, a recent survey using ground penetrating radar has shown that the caves are much larger than previously thought, maybe up to twice the size than previously estimated. So what reasons could there be for a network of caves in Gilmerton? Perhaps they were simply the location of storage vaults for the wealthy, or maybe they were a secret gentlemen’s drinking den. Although their purpose still remains a mystery you can at least come up with your own theory after taking a visit underground. It’s a unique attraction in Edinburgh. This is a real hidden gem that most tourists don’t know about. You have to book in advance to view the caves. Gilmerton Cove is located on the high street of Gilmerton. Lothian Buses services 3 and 29 stop just a few yards from Gilmerton Cove; services 7 and 18 stop just around the corner. 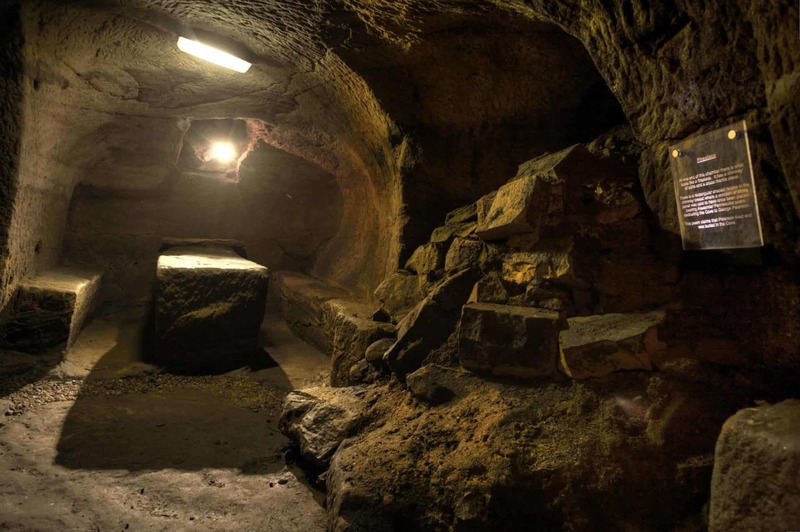 Gilmerton Cove is only open by appointment, so prior booking is essential.